We service all of the following areas and more! Whether you realize it or not, your water heater is an essential part of your life. It's the one source that allows you to complete daily activities, such as cooking, cleaning and bathing. Without it, you're left in a chilling situation. When it's time to install a new water heater, make sure you have a professional plumbing contractor to properly install your unit. Our tankless water heaters operate on natural gas or propane, and supply an endless amount of hot water. To ensure that your water heater is operating all year long, we'll provide you with a six-year warranty on all water heater parts! Rent-A-Plumber is a family-owned company operated by two brothers who grew up in the plumbing industry. Our goal is to provide you with affordable and efficient plumbing services year-round. Our company has an A+ rating with the Better Business Bureau, and we offer a one-year labor warranty on all of our services. You're always guaranteed smooth plumbing services with Rent-A-Plumber of Newburgh, Indiana. 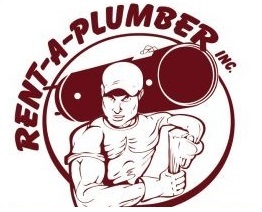 Call 812-490-7411 today to schedule plumbing services with Rent-A-Plumber. We accept MasterCard, Visa and Discover.